This beginner-level guide explains, step-by-step, how to make a fixed-blade hidden tang knife and a matching leather scabbard. 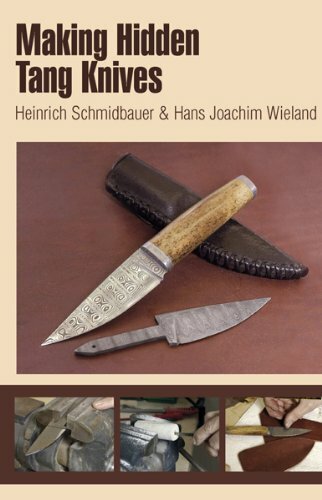 Used by hunters and fishermen the world over, hidden tang knives have tangs that are completely hidden by the handle material, which makes for a more comfortable grip on the knife. Knifemakers will find the photos and diagrams, the tools and materials lists, and the detailed instructions perfectly suited to creating this knife. The guide requires minimal use of power tools and equipment and also provides knifemakers with an understanding of various types of steels and handle materials for subsequent knife projects. The section on tools and steps necessary for making a sheath round out this guide.